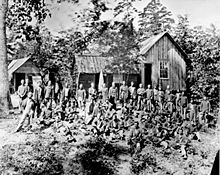 Over the course of the war, 2,128,948 men enlisted in the Union Army,  including 178,895 colored troops; 25% of the white men who served were foreign-born. Of these soldiers, 596,670 were killed, wounded or went missing. The initial call-up was for just three months, after which many of these men chose to reenlist for an additional three years. An organization that covered a defined region, including responsibilities for the Federal installations therein and for the field armies within their borders. Those named for states usually referred to Southern states that had been occupied. It was more common to name departments for rivers (such as Department of the Tennessee, Department of the Cumberland) or regions ( Department of the Pacific, Department of New England, Department of the East, Department of the West, Middle Department). 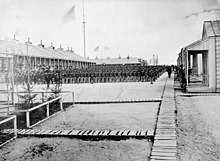 Below major units like armies, soldiers were organized mainly into regiments, the main fighting unit with which a soldier would march and be deployed with, commanded by a colonel, lieutenant colonel, or possibly a major. 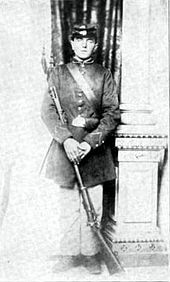 According to W. J. Hardee's "Rifle and Light Infantry Tactics" (1855), the primary tactics for riflemen and light infantry in use immediately prior and during the Civil War, there would typically be, within each regiment, ten companies, each commanded by a captain, and deployed according to the ranks of captains. Some units only possessed between four and eight companies and were generally known as battalions. Regiments were almost always raised within a single state, and were generally referred by number and state, e.g. 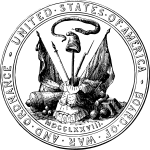 54th Massachusetts, 20th Maine, etc. 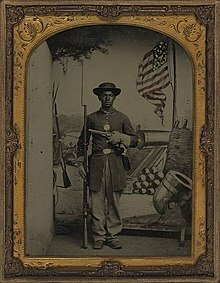 The Union Army was composed of many different ethnic groups, including large numbers of immigrants. About 25% of the white men who served in the Union Army were foreign-born. This means that about 1,600,000 enlistments were made by men who were born in the United States, including about 200,000 African Americans. About 200,000 enlistments were by men born in one of the German states (although this is somewhat speculative since anyone serving from a German family tended to be identified as German regardless of where they were actually born)[ citation needed]. About 200,000 soldiers and sailors were born in Ireland. Although some soldiers came from as far away as Malta, Italy, India, and Russia, most of the remaining foreign-born soldiers came from Great Britain and Canada. 20,000 0.9 Nordic ( Norwegian, Swedish, Finnish, and Danish). 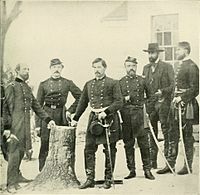 Many immigrant soldiers formed their own regiments, such as the Irish Brigade ( 69th New York, 63rd New York, 88th New York, 28th Massachusetts, 116th Pennsylvania); the Swiss Rifles (15th Missouri); the Gardes Lafayette (55th New York); the Garibaldi Guard (39th New York); the Martinez Militia (1st New Mexico); the Polish Legion (58th New York); the German Rangers (52nd New York); the Cameron Highlanders ( 79th New York Volunteer Infantry); and the Scandinavian Regiment (15th Wisconsin). But for the most part, the foreign-born soldiers were scattered as individuals throughout units. 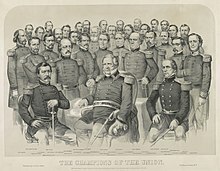 For comparison, the Confederate Army was not very diverse: 91% of Confederate soldiers were native born white men and only 9% were foreign-born white men, Irish being the largest group with others including Germans, French, Mexicans (though most of them simply happened to have been born when the Southwest was still part of Mexico), and British. 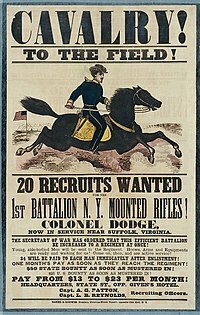 Some Confederate propaganda condemned foreign-born soldiers in the Union Army, likening them to the hated Hessians of the American Revolution. Also, a relatively small number of Native Americans ( Cherokee, Chickasaw, Choctaw, and Creek) fought for the Confederacy.